Big news! We are really proud to offer free Let’s Encrypt SSL certificates offer on all our hosting plans! Let’s Encrypt is a free, automated and open certificate authority service provided by the Internet Security Research Group (ISRG). Its mission is to help secure websites with free SSL certificates. It is a free, automatic, secure, transparent, open and cooperative service. Let’s Encrypt, as its name implies, encrypts connections with the server and therefore it secures your website. The little lock next to the URL of your website? That’s what a SSL certificate does! 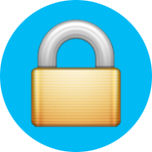 This SSL certificate is free and available for all your websites on your Funio hosting plans with a V6 server version (you can check your server version in the technical data tab in your Funio Hub). It is also available with all reseller and VPS plans. In addition, Let’s Encrypt is compatible with all web browsers. With Funio, Let’s Encrypt SSL certificates are renewed automatically every 3 months for hardened security. Even better, it only takes a few clicks to install! Unlike SimpleSSL certificates, which can be used to secure a VPN for instance, Let’s Encrypt SSL certificates only work for websites. Security matters for your website. Activate your Let’s Encrypt SSL certificate now with Funio! It’s incredibly easy, here is how to do it.